A little something different today. This is my 10-year old grandson at a reining competition recently. I'm wishing for a longer lens. (Had to crop and resize...lost some resolution so can't be viewed real large!) 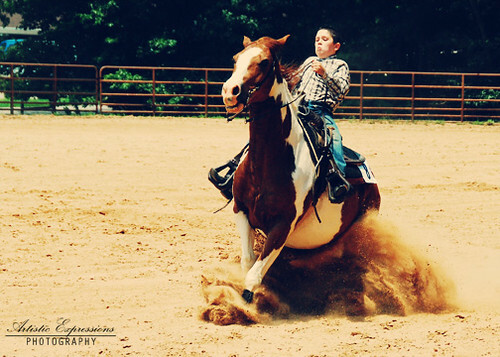 Believe he's going in to his fifth year of riding; think he's been reining for about two. Thanks to CoffeeShop for Butterscotch Vintage action.